At HERITAGE SPA we believe that body care is an essential element of overall health.Think of HERITAGE SPA for your weekend getaways or honeymoons or holidays in Marrakech. Each of your treatment is based on natural. The virtue of HERITAGE SPA is to transform your beauty care into the exeptional tailor-made event created just for you and you alone. At Heritage Spa the art of wellness is highly linked to the return to the nature and authenticity, a trip to the heart of ancient traditions of beauty. At the same time it is a place of Haute Beaute based on the rich experience of luxury cosmetics brands.Here at HERITAGE SPA , mental clarity is as vital to your wellness as your physical condition. Developed in coordination with international beauty experts, our tailored Beauty and Body programs will provide the ultimate experience.Each of your treatments are highlighted by natural plants’ extracts and aromatic restorative oils. 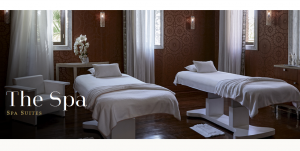 They will leave you feeling relaxed, content and deliciously pampered.Our exigency made us choose the best cosmetique brands such as CARITA, NECTAROME, CHARMES DU MAROC et GERMAINE DE CAPPUCCINI. HERITAGE SPA pleasantly surprises its visitors. Nothing can tell that behind these high walls in this small calm passage in the heart of the old Medina of Marrakech hides such a jewel. We wanted this place to become an invitation to relaxation where every corner opens your eyes unexpected wonders. Richly decorated the spa was created for you to dive into unique space and enjoy atmosphere of peace and tranquility. We will take exeptional care of you so you can relive the moment of unique experience of beauty. Diagnostic taken before your treatment allows us corerctly define your personal program of treatment and your preferences of scents. For those traveling to Morocco a visit to hammam is a genuine cultural experience as real as the souks and medina. Hammam provides an overall wellness both for the body and the spirit. Massages with essential oils have been practiced since ancient times. Combining the benefits of essential oils and therapist’s touch, the treatment of massage relaxes, tonifies muscules, reliefs, protects immune system and gives pleasure. In combination with argan oil it adds softness to your skin.